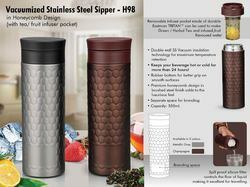 We are offering premium quality SS Vacuum Flask Made from high quality stainless steel Vacuum technology enables keep liquid hot and cold for longer duration, inner stainless body permits easy cleaning. Screw type lids: enables longer heat retention and easy pouring. Light weight & easy to carry. Dimensions: H 200 X W 75mm approx. - Made of double-wall vacuum insulated stainless steel. 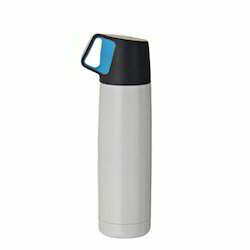 - Unique spout shield feature: Covers silicone drink spout, keeping it clean protected when not in use. - Leak-proof lid(when closed) for on-the-go convenience. We are supplier of Hydro Flask wate Flask. - Stain proof Body coating.